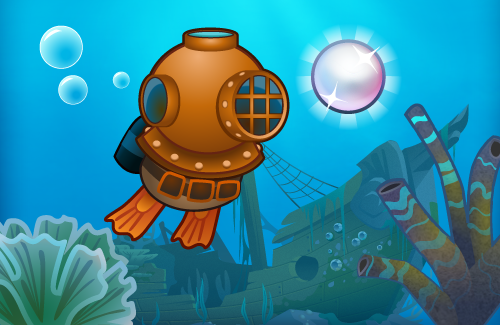 This FREE crouton has a bunch of backgrounds, characters, environments, and items you can use to make your very own ocean-themed GameSalad game. Check em’ out! Download the Ocean Artwork Crouton! This crouton is licensed under Creative Commons Attribution 4.0 International License. 15 responses on "Ocean Pack Crouton"
This is a great pack for free! So if I make an app out of these I don’t have to change any of the images and still be able to sell on the app store as long as I give appropriate credit? If so, who would I give credit to? GameSalad or a specific dude, if specific dude, where do I find him? You don’t need to leave credit, because it says that the pack is licensed under the Creative Commons Act. Which means it’s free to use. could i use this material for our game? Great! Thanks so much for these free assets. Life savers, you guys are. Thank you … awesome freebies. tnx to gamesalad for this free assets… for as I want to have my own designs for my game this assets would give any newbies a headstart. the description for croutons are ” bitesize ” but these are huge which makes them much better than expected!!! Where is the credit added in the game? how the heck do you use these?? ?